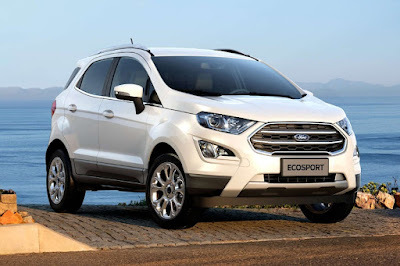 Ford Philippines is expanding the number of EcoSport variants with the introduction of the new 1.5 Titanium. With this new variant, it brings the total variant count of Ford’s sub-compact SUV to five. The EcoSport 1.5 Titanium pairs the cutting-edge convenience features of the EcoBoost Titanium variant with the more practical normally-aspirated 1.5-liter 3-cylinder engine. The EcoSport 1.5 Titanium has everything that the EcoBoost model has: 17-inch alloy wheels, keyless entry with push-button start/stop, a sunroof, the SYNC 3 infotainment system, and rear-view camera with parking sensors. It also boasts of a complete range of safety features from 6 airbags to ABS with EBD, and even electronic stability control. The only change is under the hood. Instead of a 1.0-liter EcoBoost, The new EcoSport Titanium variant offers the 1.5-liter Twin Independent Variable Camshaft Timing (Ti-VCT) engine mated with the new 6-speed automatic transmission. The EcoSport 1.5 Titanium is available at P 1,098,000 and comes in Absolute Black, Ingot Silver, Ruby Red, Canyon Ridge, Crystal White, and Blue Lightning colors. The new variant boosts the line-up of EcoSport vehicles to 5 variants, which starts at P 918,000. The other EcoSport variants are the 1.0 EcoBoost Titanium AT, 1.5 Trend AT, 1.5 Trend MT, and 1.5 Ambiente MT.